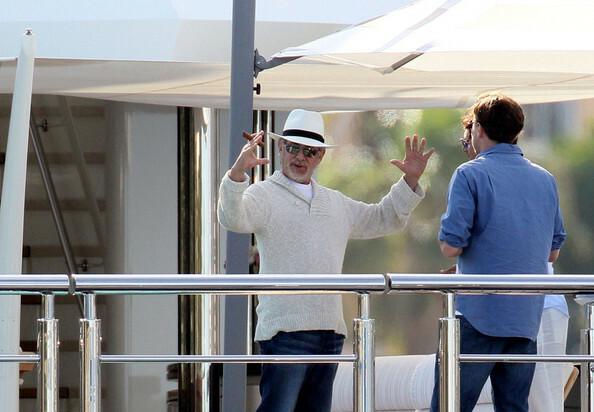 After taking delivery of his amazing $200 million megayacht, the 282-foot Seven Seas, you’d think that director Steven Spielberg would want to keep it to himself. Now it seems as though the famed director wants to recoup some of his impressive investment – he’s offering the ultra-luxurious yacht for charter at $1.3 million per week. That makes it the world’s most expensive yacht charter, leaving the likes of P. Diddy and Simon Cowell’s crafts in the dust. The 282-ft. vessel, custom built by Dutch shipyard Oceanco, features an elegant and tasteful interior design scheme by Nuvolari & Lenard. 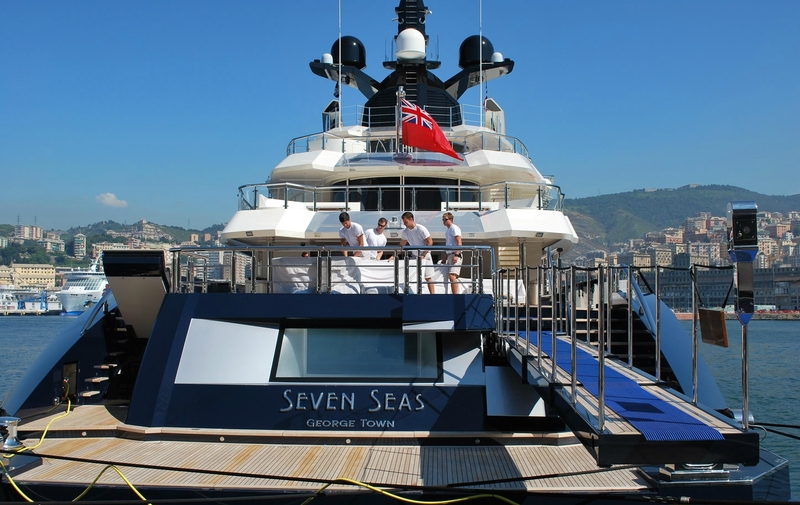 The Seven Seas is equipped for the most demanding Hollywood mogul. It’s most striking feature is an infinity pool with a 15-foot glass wall that doubles as a movie screen so Spielberg and guests can watch his latest production while swimming or lounging poolside. Celebrity guests on the megayacht have included Leonardo DiCaprio and Blake Lively, who were pictured on board when the yacht was in the French Riviera. It also boasts accommodation and extensive amenities for 12 guests along with a crew of 26, including a private owner’s deck with a large separate master stateroom featuring a study and private deck area with a Jacuzzi and VIP cabins for his movie star pals. Other luxury touches include a fully equipped gymnasium, a spa and massage room and another indoor cinema – all fitted out with tons of walnut, teak and rosewood.